On Wednesday morning when we arrived, our house did not have all of the above. By Wednesday afternoon, our house did have some furniture (rented) and two toilets that we could use. For most of us, two toilets for two people is quite sufficient but I have discovered that the human body has an innate attraction to use the toilet one is nearest to and not necessarily one of the two toilets actually hooked up with pipes. It has been two weeks and all toilets are now working. Running water in a house is something I have, in the past, taken very much for granted. I never really questioned where water comes from or how it gets to a faucet that I turn on. I have always simply turned on the faucet and water would pour out until I turned off the faucet. I have learned that, for water to run out of the faucets, in our house, it must come from the water tank on the top of the roof…which must contain water. And, for this to happen, water must be pumped from the sump pump under the driveway up to the roof tank. This is done by a simple flick of a switch in the kitchen which sends water from the sump pump to the tank on the roof. I have gotten quite adept at flicking this switch because (1) it is a switch that works and (2) it makes sufficient noise that I know something is happening. Being naturally curious, I asked an Indian woman how I would know that the tank was full. Her response was that I would hear when the tank begins to overflow and that this would be a sign that the tank was full. We have 11 faucets in our house, none of which provides potable water. 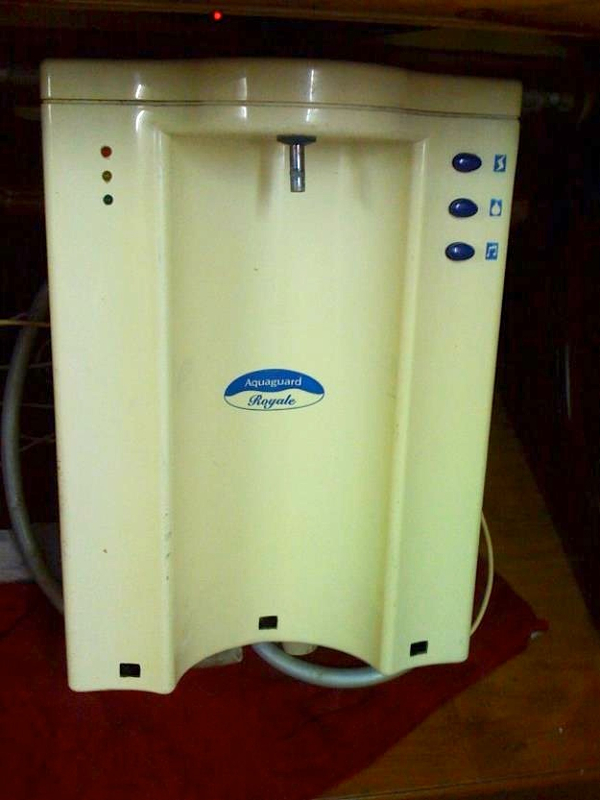 Drinking water is supplied by our Aquaguard Royale, a water filter system attached to our kitchen wall. 1. To switch on the unit, press the “power” switch. The red LED will glow for 5 seconds indicating that the power is on. 2. Soon the yellow LED will glow for 54 seconds indicating that the unit is processing water. 3. When the green LED glows, you’ll hear 3 beeps indicating that the unit is ready to deliver clear, safe drinking water. 4. To let the water flow, press the “flow” switch. While you fill your glass, you can opt for a pleasant musical tone by pressing the “music” switch. I have done all of the above and it works (as long as there is water in the roof tank). Having drinking water is a very nice thing, but I must admit that I was most excited about the musical tone option. While the symbolism is lost on me, listening to “It’s a Small World After All” play while I secure safe drinking water is quite pleasant. Musical tones are a big thing in India. Almost all cars and small trucks have a built-in musical tone when driving in reverse. I was pleasantly surprised yesterday to hear Ravel’s Bolero as I saw a small truck back into a tree. Electricity in our house is supplied by the electric company, except when it is not supplied by the electric company. The power sometimes goes out, but not for very long…so far. When this happens, our trusty Uninterrupted Power Supply (UPS) kicks in. The UPS consists of a big box connected to 4 huge batteries (think of a car battery quadrupled in size). The UPS box sits inside the house and, fortunately, the 4 huge batteries sit outside. When the electric company decides not to provide power, the UPS kicks in automatically, providing power for all 5-amp plugs in our house. An electrician came to ensure that we had 5-amp plugs for our essential electric needs: lights, fans and, of course, the tv. We asked him to provide electricity for our other essential need: our computers. It should be noted that the average Indian does not seem require seat belts. 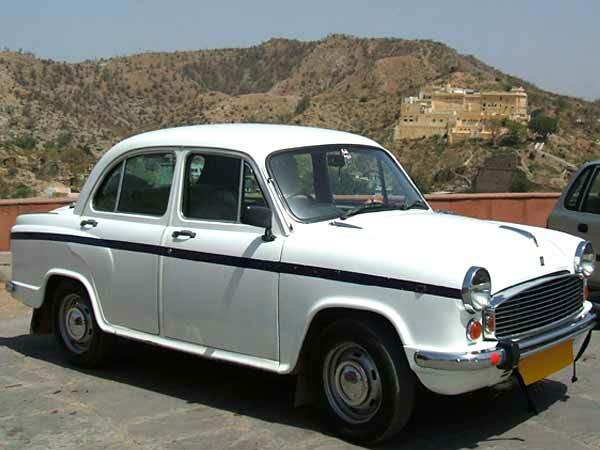 The Ambassador’s claim that it is suited to Indian roads and conditions is absolutely true: it rarely reaches a speed over 50 km/hr and the 162 km trip from Chennai to Pondicherry took a little over 3 hours. Our security discomfort was somewhat mitigated by our climatic comfort: the average Indian does seem to require air conditioning, which came in handy with temperatures hovering around 40-degrees celsius. While India gained its independence in 1947, Pondicherry remained a French colony until 1954. The French language and culture are kept alive by the local Lycée Français and the Alliance Française. We stayed at the charming Coloniale Guest House where Sabine welcomed us with fresh croissant and baguette every morning at breakfast. The city is teeming with French and other visitors who mingle peacefully with its 650.000 inhabitants. 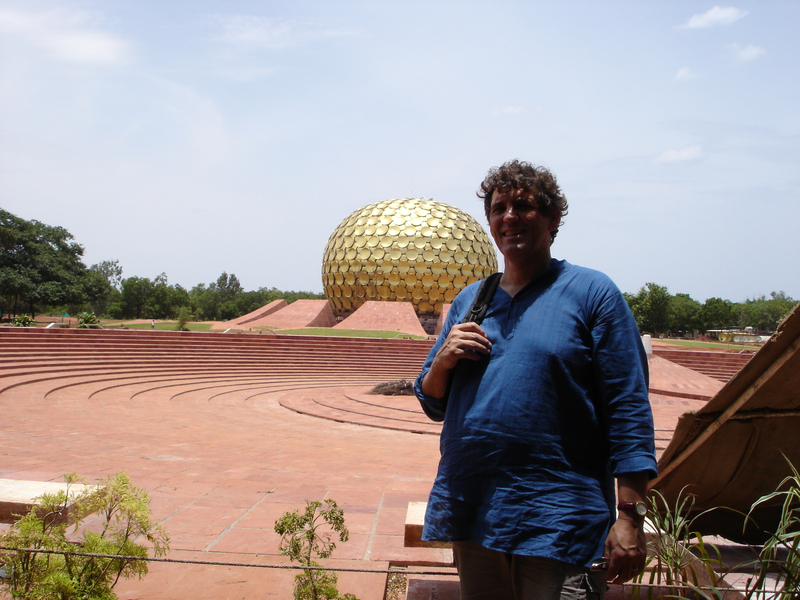 Pondicherry is an eclectic mix of both French and Indian cultures. French and Tamil are heard throughout the city. The rue Dumas and rue Romain Rolland happily co-exist with Jawaharlal Nehru and Nidarajapayer streets. L’église Notre-Dame-des-Anges is a few blocks from the Manakula Vinayagar temple. 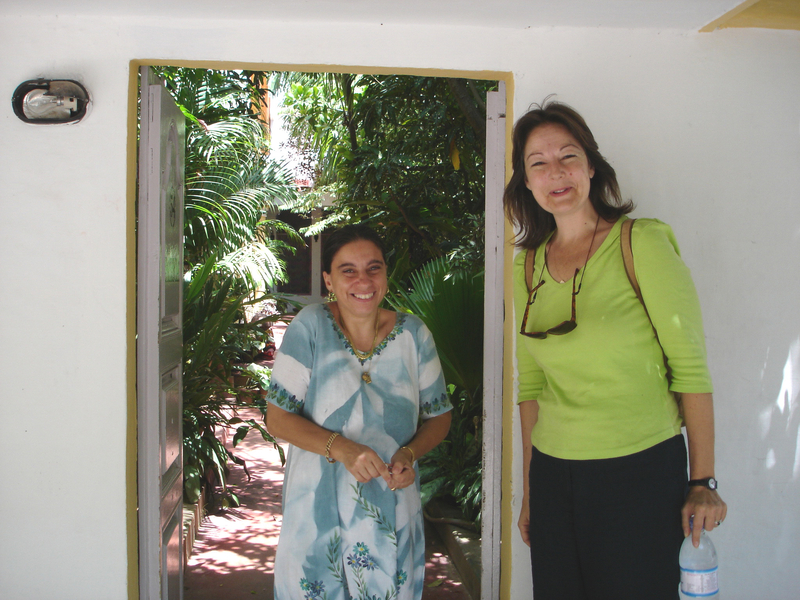 Pondicherry is also home to the Sri Aurobindo ashram. Sri Aurobindo Ghose (1872-1950) was a Bengali poet turned freedom fighter who, to escape the British, took refuge in Pondicherry. It was here that he became a spiritual leader. One cannot speak of Sri Aurobindo without referring to “the mother”, a Parisian mystic, painter and musician, who first came to Pondicherry with her husband during World War I. Formerly known as Mirra Alfassa, she was so inspired by Sri Aurobindo that she kindly let her husband return to France without her and stayed on in Pondicherry until her death in 1973. When Sri Aurobindo removed himself from public life in 1910 to pursue his inner spirituality, the mother took over and created the ashram. In addition to being a highly developed spiritual centre of activity, the Sri Aurobindo ashram is a vast business enterprise with its own farms, health facilities, publishing house, retail stores, and post office. One visits the ashram to meditate over the tombs of Sri Aurobindo and the mother, lavishly decorated with intricate fresh flower designs. It is a tranquil island in the sea of Pondicherry’s bustling city life.